“I have purchased two saddles. FYI here in the States we tend to call them seats over saddles. 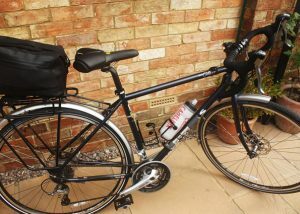 “I can now ride for hours with no discomfort whatsoever…..
“I fitted a RIDO saddle to my Dawes Ultra Galaxy tourer to replace the standard fit saddle, a Brooks B17. 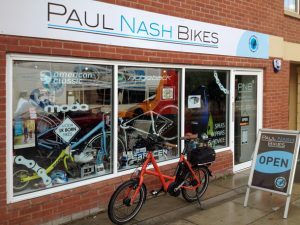 I was finding the Brooks very uncomfortable after an hour of riding and not well suited to the long-distance touring for which the bike is designed. I already have a RIDO fitted to my other bike, a Specialized Allez-Comp, so I knew how comfortable they are. The RIDO has transformed my day-rides on the Dawes and I can now ride for hours with no discomfort whatsoever. It is the obvious saddle of choice for anyone intending to cycle more than a few miles; Dawes would do well to fit RIDO as the standard saddle on their tourers. Very comfortable and and I was immediately at home with it. I am not sure whether I have it at the right angle yet – so continuing to experiment. Glad to hear the saddle’s done the trick for you, Brian. Many thanks for letting us know, and for the pic! (a) the nose appears to be pointing up quite a lot. This is OK of course. The radiussed padded rest sections are designed to allow you to do this. But aren’t you feeling the nose on the perineum a bit too much? (b) the clamp appears to be outside the MIN-MAX scale printed on the rail. You’d be better to shift the saddle forward slightly so that the clamp falls within those marks. In fact, it appears that you’re trying to position the saddle as far back as possible and a s a result you’re right at the bends in the rails. You might want to consider getting yourself a seat post with an offset at the top. This will really give you the distance you want whilst having the clamp more ideally positioned on the saddle rails. 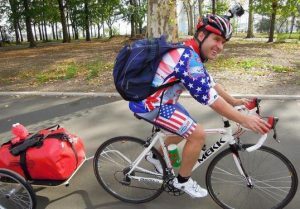 “I’m so glad I bought my RIDO R2! Finally, after a long period of being completely unable to do so due to coccyx pain, I’ve found something that enables me to get back out in the fresh air again. I had missed cycling desperately but every saddle I tried caused so much pain that it became a pointless exercise. Now I’m cycling all over Bristol, my home city, and into the countryside beyond. When I first got the saddle I thought it wouldn’t work but after an email exchange with you I was able to make minute adjustments that allowed me to cycle without pain. My coccyx problem is highly unusual and as a result I’m not 100% free of pain when cycling but I’m about as free as I’m likely to get. I’ve learned a lot about coccyx pain and injuries over the last few years and am absolutely confident that it would provide complete pain relief for the vast majority of sufferers. I am definitely a medical anomaly ! So, huge thanks to the RIDO. I think even if I didn’t have a pain problem I’d use this saddle – it just makes so much more sense to sit on your tail bones rather than all the tissues and organs between them. Please can you design a RIDO for horses?! I’m still searching for a solution…! “I bought the Rido R2 from you. I find it absolutely brilliant! 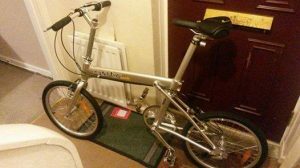 I have a GIANT road bike which I bought last year, I had constant saddle discomfort/pain on the saddle which came with the bike. I then changed to the Selle Italia Damas saddle. I still had the same discomfort/pain. The pain I had was all coming from my sit bones after about 50km into the cycle. No amount of re-adjusting seemed to help me. “My wife has had problems with her coccyx since slipping down stairs over 35 years ago. Saw your product while googling coccyx problems. Likes to ride her bike but has serious pain after a short ride. Only been out twice this year and only for a short ride. Went on the Taunton to Bridgewater canal tow path yesterday, around 24 miles. Admittedly it was flat with no hard pushing hills, but my wife completed this with no pain around the coccyx. She had a gel saddle prior to the Rido. At the moment the saddle seems to be doing the trick. Will try again soon with a more hilly ride, not hard living in east devon! 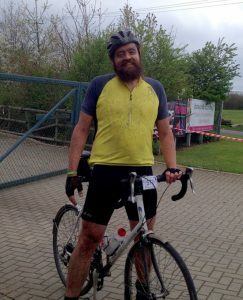 “I’m 18.5 stone, 6’7”, doing anywhere between 120-150 miles a week in 2 rides on a road bike. I had been suffering from acute numbness for a long time despite trying many different saddle designs and was probably a couple of weeks away from ebay-ing my road bike for good. I came across the RIDO saddles on a forum and in a last ditch attempt I ordered the trial ‘RLt’ saddle. Despite not being the complete answer to my problems it was a vast improvement. 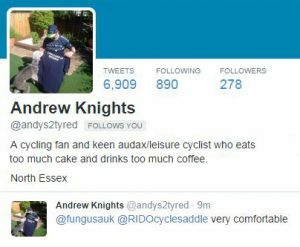 I then bought the ‘R2’ saddle and BINGO! 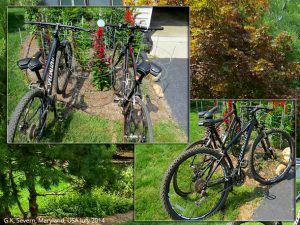 The joy of cycling came back to me! To give an idea, the second ride I did on this new saddle was an 80-miler with only minimal chafe and to do that on a new saddle is quite remarkable. 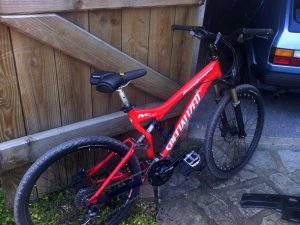 The R2 is great value at £42.50 and after trying a few different positions it has ultimately allowed me to keep cycling. (2) “My experience has been good. Not perfect but I doubt this seat was designed to perfectly avoid my affliction. I suffer from hidradenitis suppurativa. A horrible skin condition that causes boils, and infected cysts in the perineum area. I have been able to ride more than I have ever been able to ride in any given week. I have gone from putting 3 to 5 hours a week on the saddle of my mountain bike to putting in 10 hours a week. I have enjoyed the improvement so much I ordered my second R2 to be placed on my road bike. With much less vibration and banging around this just may be the perfect solution in this affliction. As you know when riding the trails of the wild, there is a lot of bounce and one doesn’t always control where they land on the seat. It works better on my road bike than it does on my mountain bike. But I was getting tired of changing it back and forth. (3) “I spent the entire autumn season using your seats (R2’s) on my two bikes. They truly helped me to ride much more that usual without any physical discomfort. I learned I still could not ride daily, but these seats were such that I could ride 3 and 4 days a week, at around 3 hours each ride. That is more than I have been able to do in many many years! “The RIDO R2 saddle is renown for its unique pressure-relief comfort properties. Converts swear by it and would never ride on anything else. 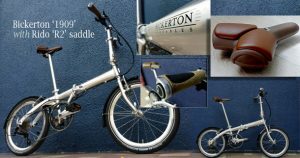 Both Bickerton and RIDO share many things British and now for those who would like the new edition complementary ‘country brown’ R2, we are offering buyers the chance to get the Bickerton 1909 9-speed folding bike ready fitted with this saddle for the all-inclusive price of just S$1099! In essence this amounts to a S$200 discount together with the added ‘comfort’ bonus of an R2 saddle. Of course if you would like your Bickerton equipped with the original Brooks saddle (market price is S$200) we’ll be happy to sell you that too at the S$1299 launch price. “Success! I have completed my order for a brown R2 ‘Country’. With many thanks for all you help and apologies for getting your name wrong. I must have had a very senior moment! I did 45 miles yesterday on a group ride around Bristol and then to Portishead using my current R2 without a moments discomfort. The brown R2 Country will just add the finishing touch to my Kalkhoff, which now has Ergon cork grips adorning the handlebars. Another work of art possibly. “Having had a Brooks professional saddle “with copper rivets” on our tandem for 4 years I bought and tried a Rido R2 as I was never really happy with the Brooks. After a short test ride I put the Brooks saddle on eBay and sold it for £50. We are now halfway across France on a 1000km+ touring trip on the tandem. 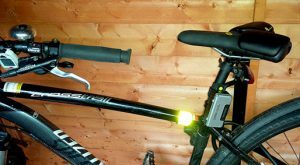 Having been on the saddle every day for 2 weeks for about 5 hours I am very pleased with the saddle, have had no discomfort and am thinking of getting an RLt for my road bike. It also seems to have significantly helped my not having to get up for the loo so often in the night.